It looks like the U.S. economy perked up slightly this summer, as businesses re-stocked their shelves, consumer spending rose slightly, and the housing recovery chugged along. Gross domestic product -- the broadest measure of economic activity -- rose at a 2.8% annual rate in the third quarter, according to the Bureau of Economic Analysis. That marked the fastest growth in a year and was stronger than economists had anticipated. But the looks of this GDP report can be deceiving. "In reality, it's a weaker report than it looks on the surface," said Adolfo Laurenti, deputy chief economist for Mesirow Financial. Either businesses have good reason to expect demand will pick up in the future, so they stock their shelves in advance. Or, demand is weaker than they expected, and goods already ordered linger on shelves. Laurenti thinks it's the latter case. Consumer spending on goods ranging from groceries to cars picked up slightly in the third quarter, but growth is slowing heading into the end of the year. 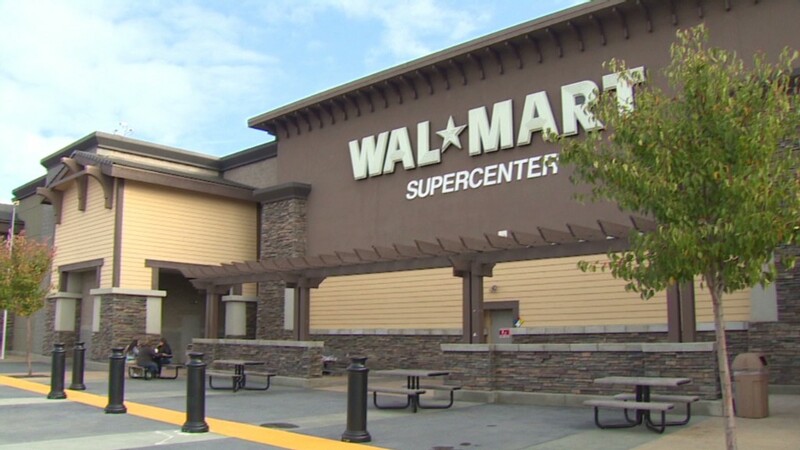 "When we see recent reports by retailers that sales are not as strong as we were expecting for back-to-school and sales for Halloween are a little bit softer than we were expecting, I have reason to believe the accumulation in inventories is mostly unexpected and not good news," he said. "Unless of course, people expect gangbuster sales for Christmas, which quite frankly, I don't think is in the data either." Another worrisome sign came as businesses cut their spending on equipment. Uncertainties about economic growth and government policy are holding them back from investing, said Sung Won Sohn, economist at California State University Channel Islands. "Until the latest report, businesses had been trying to boost productivity by using the latest technology saving labor," he said in a research note. "Unfortunately, they seem to be losing confidence in the future course of the economy putting equipment purchases on hold." That said, a few bright spots came from spending on both housing and commercial real estate, as well a smaller drag from government spending cuts. 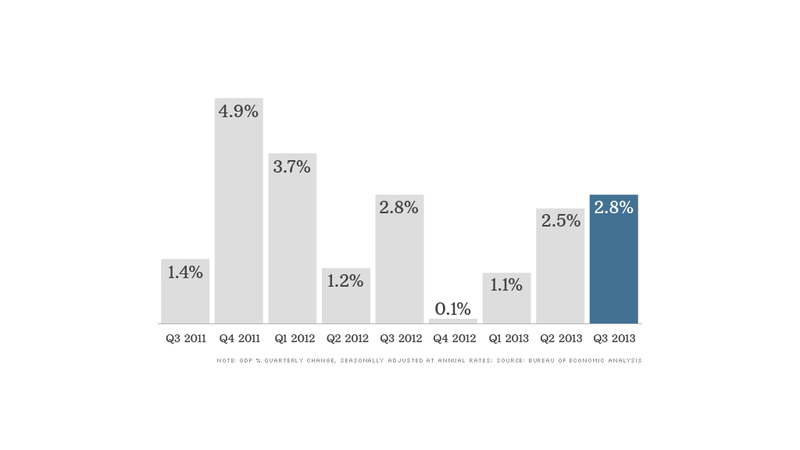 Federal budget cuts have been holding back economic growth for four consecutive quarters. But over the summer, state and local governments ramped up their spending and investments enough to compensate for federal cuts. It's unclear whether that will continue. This report does not yet reflect the government shutdown in October, which put thousands of federal workers temporarily out of a job and halted some government work for 16 days. Fourth quarter GDP is expected to be hit by both the shutdown and a drawdown in business inventories -- two factors that could mean economic growth is below 2% at the end of the year, said Joel Prakken, senior managing director of Macroeconomic Advisers. "It would appear the trend growth of the economy is pretty anemic these days," he said. Economists generally hope for at least 3% growth each year to bring the unemployment rate down by one percentage point. At the end of September, 11.3 million people said they could not find work, and the unemployment rate stood at 7.2%.